Images courtesy of Cerrell Associates. Just over 80 Sea Scouts from 10 different countries set sail over Long Beach waters to compete in the William I. Koch International Sea Scout Cup, which concluded on Friday. Sponsored by Oxbow Carbon LLC, the week-long biannual Sailing Regatta brought together young adults from around the world with a passion for the seafaring sport. 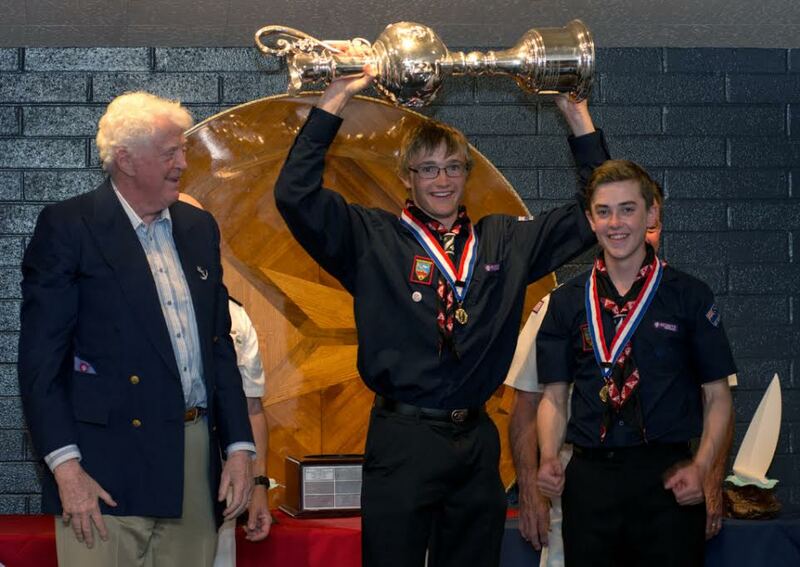 The 2016 winners of the Koch Cup, which took place next to the Belmont Veterans Memorial Pier, were Nicholas Gardiner, 17, and Nicholas Williams, 15 from Blenheim, New Zealand, the first international team to win the regatta, according to the announcement. Teagan Foley and Mick Foley from Bay Area Council in Galveston, Texas sailed in as the winners of the Kiwi Cup. Long Beach’s hometown team of Peter Sangmeister, 14, and Trent Turigliatto, 17, who competed as part of the Koch Cup fleet, earned an impressive second placement. This year’s Sea Scout Cup participants ranged in age from 14 years of age to 20, with seven of the participating teams composed of siblings. Teams traveled to Long Beach from as far as Brazil, Germany, Australia, Norway, Ireland and South Africa. The Sea Scout Cup also awards participants on sportsmanship and seamanship, where each year competitors vote for the winner of the honor. This year the Polish team of Mateusz Fortunka and Joanna Jas in the Kiwi fleet, and the Finnish team of Filip Blomquist and Oscar Norstrom in the Koch fleet were recognized for the distinction, according to the release. The William I. Koch International Sea Scout Cup is a Sailing Regatta put on by Sea Scouting, where every two years US and international teams compete for the coveted win. An event founded in the 1930s, it was halted when the Sea Scouts left to serve in WWII. Koch, America’s Cup 1992 winner and founder of Oxbow Carbon, revitalized the regatta in 2002 to pay homage to the 90th Anniversary of the original competition that brought together Sea Scouts from around the world, fostering international relations and camaraderie, according to the release. For more information about the William I. Koch International Sea Scout Cup, visit the website here.